With the threat of further police cuts industry at large will have to take the threat of theft as seriously as it takes safety. According to insurance industry sources few industries take all the anti-theft precautions that are available to them. To help develop awareness of the very real threat of theft and more importantly to set out a range of practical solutions Combined Industries Theft Solutions (CITS) has launched a new initiative and a code of practice. Construction Industries Theft Solutions, a not for profit organisation, has worked hard over the past few years to generate awareness of the increasing problem of machinery theft in the construction industry. 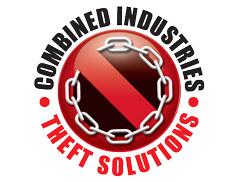 But with the increasing scale of theft in many other industries the group has decided to rename itself Combined Industries Theft Solutions and to tackle a wider range of theft issues in Construction, Agriculture, Transport and Distribution, Manufacturing, and the Utilities. Mike Revell, Director of utility contractor Clancy Docwra, chairs the group. Mike has been instrumental in many important security initiatives in recent years including the successful launch of CESAR, the only official equipment security and registration scheme in the UK, and the Thatcham 5 star rating system for machine security. Mike had this to say, after a meeting of the CITS Board at the end of November, "We're acutely aware that theft is on the increase. Not a day goes by without another press report of audacious thieves stealing equipment, fuel, or essential parts of our infrastructure. The current trend is that equipment theft is still showing a modest increase quarter-by-quarter but metal and fuel theft is increasing rapidly because of the economic down turn, the high value of metals, and the increasing cost of fuel. As a group, we want to raise the awareness of theft and to encourage businesses of all types and sizes to treat the many and real threats more seriously and to take robust action to guard against theft."